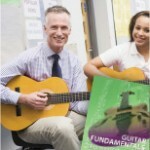 What is professional development all about? Every teacher has their own horror stories about professional development programs that were useless, boring, off-track, or some combination thereof. As educators ourselves, we are aware of the well-earned prejudices that spring to mind at the sound of the phrase, and we can promise that you will find our version of professional development exactly that: professional and developmental. 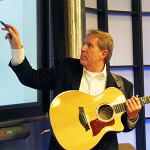 All our PD is taught by our director of curriculum, master teacher and acknowledged classroom guitar pedagogy expert, Mike Christiansen in the same blended learning approach used in all our courses. All our PD is designed to make your job easier, make you a more effective educator, improve student outcomes, and make you more valuable to your school and your district. supposed to be about, isn’t it? District Level Professional Development Opportunities you'd interested in?